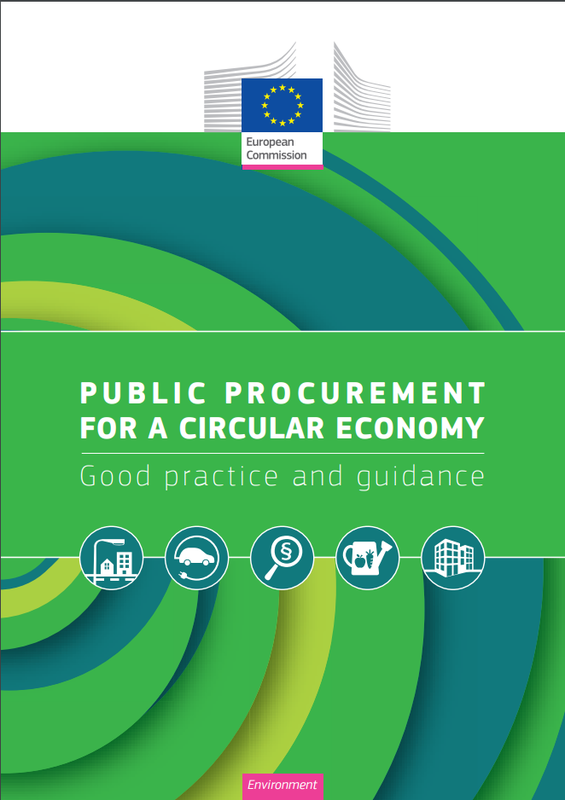 The European Commission has published 'Public procurement for a circular economy. Good practice and guidance', where it offers its views on how to implement procurement policies that go beyond green public procurement to engage in circular procurement, understood as 'the process by which public authorities purchase works, goods or services that seek to contribute to closed energy and material loops within supply chains, whilst minimising, and in the best case avoiding, negative environmental impacts and waste creation across their whole life-cycle'. Therefore, circular procurement seems to be a sub-type of green procurement (in turn, a sub-type of smart procurement) mainly concerned with life-cycle and life-cycle costing. So the adoption of this guidance only a few days after the adoption of the Communication on 'Making public procurement work in and for Europe' (see here) raises some questions on coordination of policy efforts and messages from the Commission. If the Commission knew that this guidance was bound to be adopted, why did it not mention it in the Communication earlier this month? Is this a sign of discoordination between different Directorates General within the Commission (in particular, Environment and Growth)? Would linked-up policy efforts not yield better results? Regardless of those political economy issues, and probably as a result of the new 'circular procurement guidance' being a product of DG Environment, most of the guidance is of a high level of generality and mainly concentrates on issues of political and organisational buy-in. From a practical and legal perspective, the document does not do much more than refer back to pre-existing guidance on the use of green procurement criteria (which have been expanded to new product groups) and reiterate some general remarks about the flexibility created in the 2014 Public Procurement Package for the inclusion of environmentally-orientated technical specifications and award criteria, and their evaluation. In short, other than some examples of innovative practices, I did not find the 'circular procurement guidance' all that useful, and I think that the Commission needs to make much more significant efforts to provide practical and useful guidance if it wants to support the uptake of green, and in particular circular, procurement at Member State level. Currently, the lack of guidance on life-cycle costing (Art 68 Dir 2014/24/EU) is probably the single most relevant obstacle in significant uptake of circular procurement. When will this gap be filled?